A year ago in July, my sister took this photo of our twins, Isabella and Grace, with their cousin, Kate. 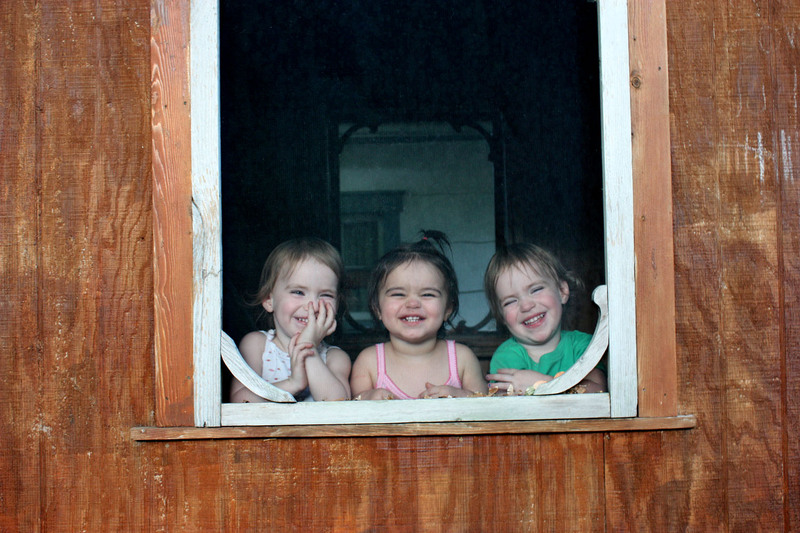 I posted it with the caption: The playhouse their grandfather built for us has been rejuvenated with their giggles. They are our future generation. I hope it will be reborn several times over. 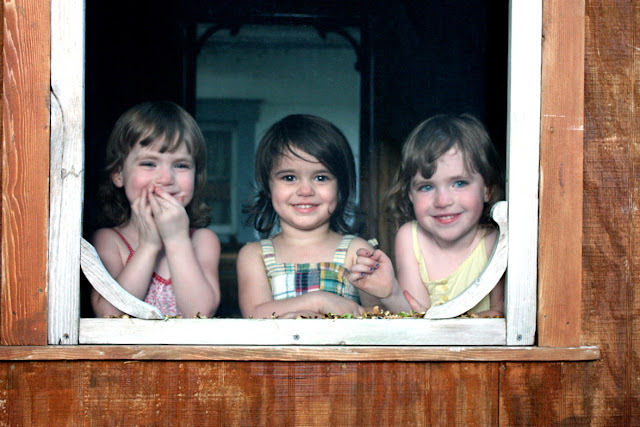 This year for Memorial Day, the girls gathered in the playhouse and I captured them again in the window. One year older. The leaves were still gathered in the frame of the window. Isabella still smiled with her tiny hands covering her mouth. Gracie surprisingly wearing blue nail polish again. Yet, so much difference in just a year's time! They are not babies anymore. They are growing taller, smarter, and closer as friends. The stories of our own childhood are being revived in their smiles. They hold a bit of magic in their hands, unaware they are creating memories that will last a lifetime. Love this...I hope you continue the tradition...adorable!